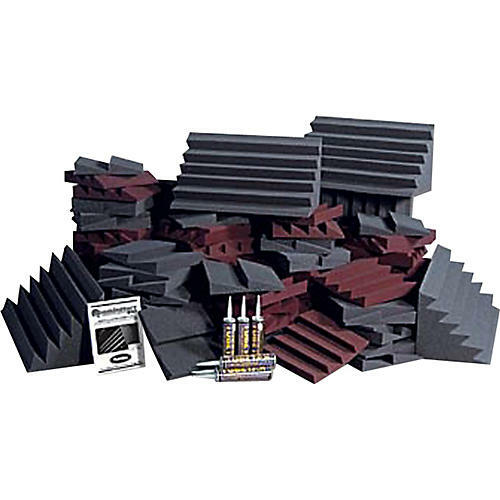 The DST D108L Roominator Kit is a way to give your project studio a more professional appearance. It contains 54 charcoal gray DST-112s, and 54 DST-114, in your choice of Charcoal Gray, Purple, Burgundy or Forest Green (just choose from the drop down menu to the right). You also get 8 charcoal gray DST-LENRDs Bass Traps. Completing the package is EZ-Stick Pro Tab adhesive for simple, neat installation.